Ten years ago today my mom passed away. 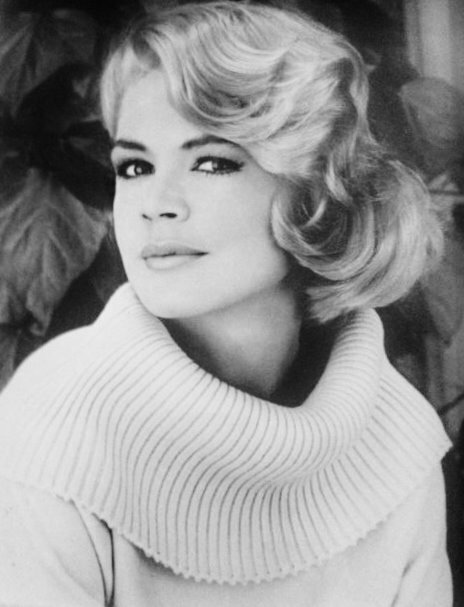 To the world at large she was Sandra Dee the actress that through her film roles captured forever the wonderful and innocent time of America of the late 50’s and early 60’s. Her popularity at the time is not in question as her box office success globally matched any other top film stars of her day. If you were a young girl back then you probably wanted to look, dress and speak like her and if you were a young man you wanted her as your first girlfriend! She was a consummate professional who always knew her lines and marks, always showed up on time and was a pleasure to work with. No diva, spoiled brat tantrums from her as is so common with young talent in Hollywood today. As successful as she was I can tell you that she never realized how loved she was by the public nor did she feel she was particularly talented or unique. I may be biased but to this day I do think she holds a unique place in American pop culture. To me of course she was so much more; she was a mom and she was simply unforgettable. Many of us realize how lucky we were to have the parents we had only when later in life we become parents ourselves. It is then that we respect the sacrifices that our parents made and the wisdom they conveyed to us; wisdom that at the time we wanted no part of as we young kids knew better! I was more than a handful from the age of 13 up until about 17. Lets just say I was out of control and acting out for many reasons foremost of which was probably losing my dad at age 12. The bottom line is my mom stepped up and even in the face of her battling her own demons of alcoholism, anorexia, and loneliness she somehow managed to give me love, sound advice and parenting. I now marvel at her strength when I realize she was only 31 years old, my dad had died, her career was basically over and she had almost no extended family or friends to help raise me in the often troubled town of Hollywood. I as a parent sometimes get frustrated as we all do, and that's with a loving stable wife, good friends and a healthy lifestyle. As much as I love, respect and idolize my dad, the truth is that because I had my mom so much longer in my life many of the decent character traits and wisdom I have I must thank my mom for. There are two anecdotes that I’d like to share that I think sum up my mom as a human being. The first is that at the very pinnacle of her fame and stardom, she treated the catering man or the grips on the film set the same way she treated the president of the studio. This was not phony on her part it was just her genuine, basic character and decency. The second involves her time late in her life when she was a kidney dialysis patient. She hated dialysis and it was very painful to watch her go through the twice weekly visits. As most people know, getting an organ transplant can be a very long process and often a patient’s lifestyle choices (i.e. alcoholism, anorexia, smoking) can put them waiting even longer and understandably so. At one point I casually mentioned to her that another celebrity had received a matching organ from one of their fans. She looked me in the eye and said “Dodd, who am I to cut in front of the line I have to wait my turn just like everybody else." I miss my mom a lot. I take comfort in knowing that she saw me as an adult, happily married and that she got to see both my kids. I wish she were here to see my daughters grow up. As one of my daughters now begins her own modeling career (against my advice!) how I wish my mom could be part of that and share in that journey with her. At least I have the many lessons both good and bad my mom shared with me to pass onto her. My mom and I had our share of very difficult times together and more than our share of sadness. I now believe however that those trying times were God’s way of preparing me to be a good parent, husband, and friend. I don’t know if I'm succeeding but I’m trying and that’s in large part because of her. As beautiful and magical as Sandra Dee was on the screen, those are trivial things in comparison to what she was to those who loved her and who she loved. She was very special indeed in all the ways that are really important. I will love her always and am proud to be her son.